Intel AMT (Active Management Technology) is a remote control technology integrated into PC Intel vPro platform hardware based component. Most of latest laptops has Intel vPro enabled. 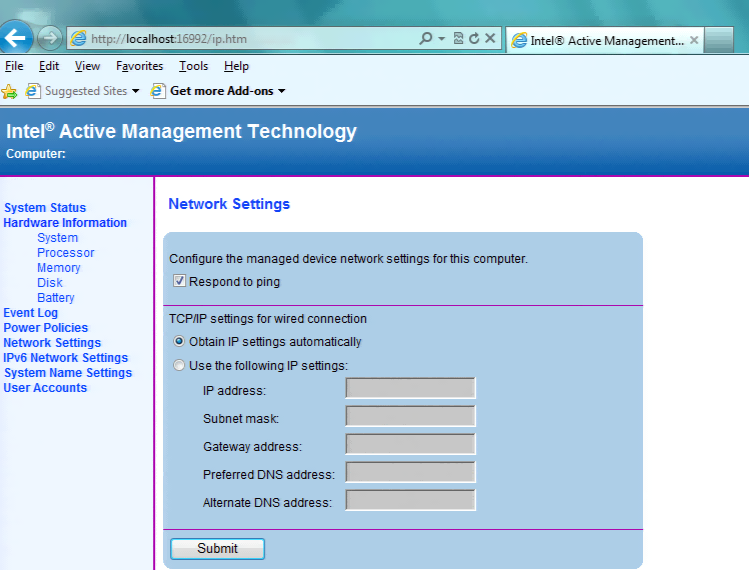 You could use this technology to give remote support, consider that Intel AMT allows you to control a remote computer that has no OS or even power on if its off. 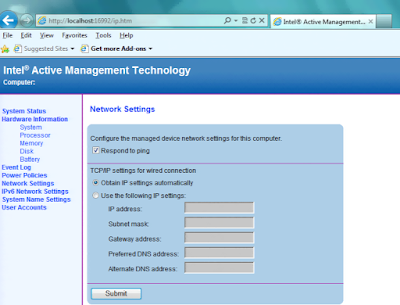 First step that you should do on your pc/laptop it is to enable AMT. After that you need to download meshcommander tool (otr other similar tools) to connect to pcs.